Brewtopia Events LLC Real Ale Report from Bath, UK England - July 2010. Owen Ogletree was invited over to the UK during the summer of 2010 to help judge "Champion Beer of Britain" at the August Great British Beer Festival in London. Before the judging experience, Owen was able to sneak in a side trip to the lovely, historic town of Bath -- about a one hour train ride west of London. The following photo album lists most of the cask ale (real ale) pubs I visited in Bath. Pictured above is the entire staff of the tiny Abbey Ales brewery in Bath: (L-R) Alan, Simon and brewer Martin. The most popular cask ale from Abbey is called Bellringer, and this light, slightly caramel-like ale was in top form in most of the pubs in town. Bellringer comes across as very mild with light malty flavors, low ABV and good UK hop bitterness for subtle balance. The brewery is located directly behind the Old Farmhouse pub (listed below), and brewer Martin (pictured above) cranks out the range of fine real ales mostly by himself. Good job Martin! This is an attractive Abbey Ales pub with 2-3 casks on at one time and one cider. All casks were in perfect condition and good cool cellar temperature when I visited. Probably my favorite pub in Bath, The Bell offers a warm welcome, live jazz on Monday and Wednesday evenings, a great range of cask ales and lots of comfortable snugs and tables. Cask ales were a bit too flat and warm in July when I visited this small, attractive pub. There are only four tables in the central bar area. Attractive pub in front of the Abbey Ales brewery. Basic pub food, up to four cask ales and live music every Friday. There has been a pub here for the past 200 years, and the current establishment is situated next to the Theatre Royal. Around four cask ales and a couple of ciders are usually on offer. The dark oak wall panels were installed in the 1920s, so be sure to lean against them with care. The pub serves a 3.9% ABV house ale that's golden in color and mildly hoppy. A very relaxing pub. This pub is owned by the Bath Ales brewery, but the brewery is actually closer to Bristol. The pub is larger on the inside than it looks from the outside and can be found by way of a 15 minute walk from the Bath city center. The Bath ales were a bit too buttery (diacetyl) and served too warm in July. This Palmers gastropub is worth a visit while in Bath. I tried the Dorset Gold, which was in excellent condition in terms of carbonation and coolness. The beer was dark gold in color with a pleasing malt/hop balance. The food here was outstanding as well - with an every changing daily menu. This Wadworth pub is situated just a short walk west of the Bath city center (out near the Hop Pole). Very welcoming and attractive, it features pleasing food and three Wadworth cask on gravity pour behind the bar. I tried the pleasant IPA, 6X and Horizon on my visit. Having two floors, The Raven is a moderately spacious pub that was quite crowded on the two occasions I visited. Local CAMRA Pub of the Year in 2006, this pub is located in the city center. The house beers are brewed by Blindmans, and the locally made meat pies are amazing (served with mustard mash and a choice of three types of gravy). This no-frills pub just outside Bath serves up a nice range of cask ales, but 1-2 of the selections were a bit "off" when I visited. I enjoyed the Art Brew Renaissance ale at 4.5% ABV and the 4.3% Allgates Pacific Pale Ale with "kiwi" hops. Be sure to check out the bottled Belgian beers as well. This other Royal Oak in Bath housed six handpumps, but only three were stocked with real ale when I visited, but each of these beers were fantastic. The Butcomb Gold Bitter exhibited a grassy, herbal, fruity, malty character that was quite pleasant. Very much a neighborhood pub. 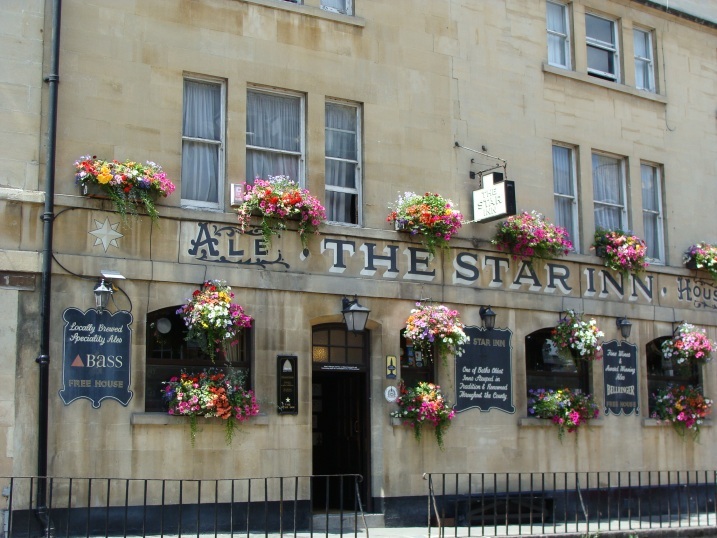 Smallish, attractive, new looking Bath Ales pub near the city center. The beers were too warm in July and all showed a distracting diacetyl (butterscotch) aroma and flavor. The staff are quite friendly and happy to provide small beer samples. Bellringer and White Friar golden ale were on cask here along with a rare gravity cask of Bass. This is a lovely old pub serves as the main Abbey Ales tap and is run by a Cornish guy named Paul. Celtic bands typically play on Tuesday nights. A bit of a hike from central Bath, this friendly and cozy pub offered Otter Ale, Sadler Rickmaker's Bitter (with Chinook hops from the USA) and Sharp's Doom Bar (among others) on my visit. The landlord loves cask ale and runs special events to promote the pub - including a parking lot bungee jump for charity. 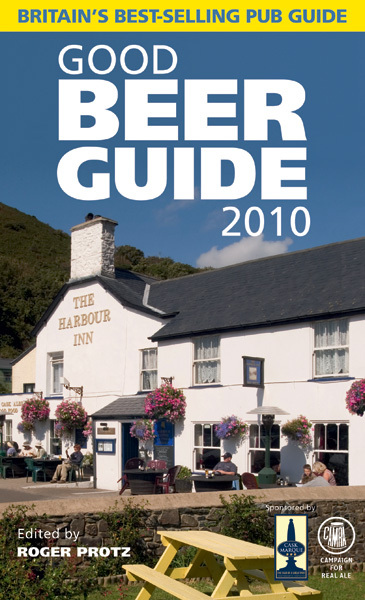 Don't think of visiting the UK without a guidebook to find the best cask ale pubs.